Cheesecake is probably one of the most convenient and easiest dessert recipes to make when you’re in the mood for a satisfying dessert that will perfectly end a good meal. Just like what they say—there is always room for dessert; most especially for good desserts. 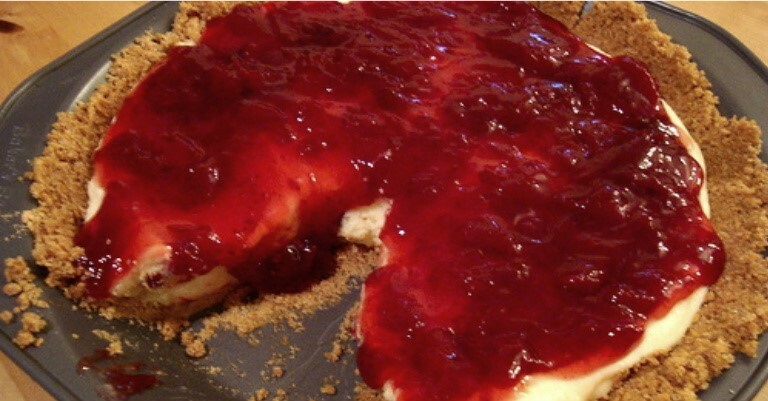 No matter how full you are, you can still finish that slice of delectable cheesecake. Heat oven to 325°F. In small bowl, mix crust ingredients; press in bottom of ungreased 10-inch springform pan. Bake 10 minutes. Cool 3 to 5 minutes. 2 Meanwhile, in large bowl, beat both kinds of cream cheese, 1 1/4 cups sugar, 2 teaspoons vanilla and 2 tablespoons lemon juice with electric mixer on medium speed until smooth and well blended. On low speed, add eggs 1 at a time, beating well after each addition until blended. Add flour; beat until smooth. 3 Pour filling over crust. Bake 55 minutes. Cool on cooling rack 10 minutes. Meanwhile, in small bowl, mix sour cream layer ingredients. 4 Spoon and spread sour cream mixture evenly over top of cheesecake. Bake 10 minutes longer. Run knife around edge of pan to loosen cheesecake. Cool completely on cooling rack, about 2 hours. Cover; refrigerate at least 3 hours or overnight. 5 Before serving, remove side of pan. Garnish each serving with fresh strawberries and a drizzle of strawberry sundae syrup and a dollop of whipped cream. Store in refrigerator. Quick Tip: It’s best to store the cheesecake in the springform pan until ready to serve. It will protect it from getting bumped inside the refrigerator. Thanks again to Arlene Cummings of Betty Crocker for this amazing recipe.